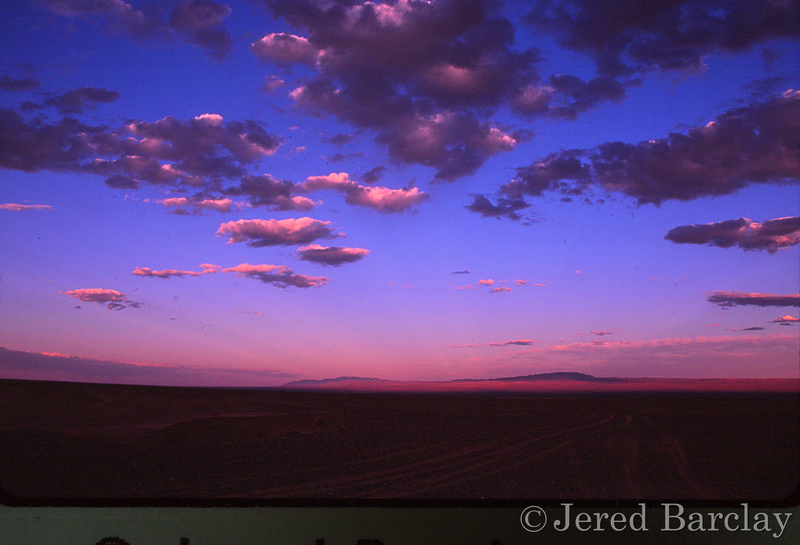 This sunrise image on the famous Gobi Desert in central Mongolia was taken a few minutes after dawn. I took about forty images without moving an inch. 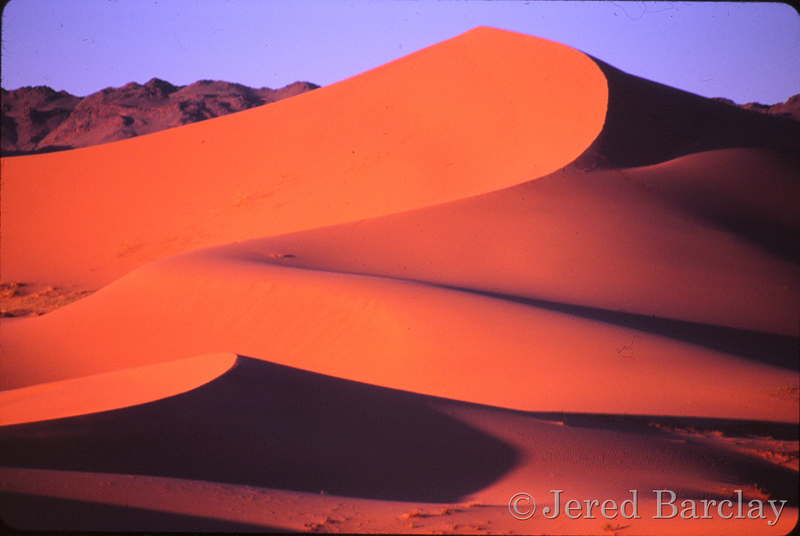 The sun and the changing shadows on the sand dunes made every single image different. The rising sun moved instead of me and my camera. 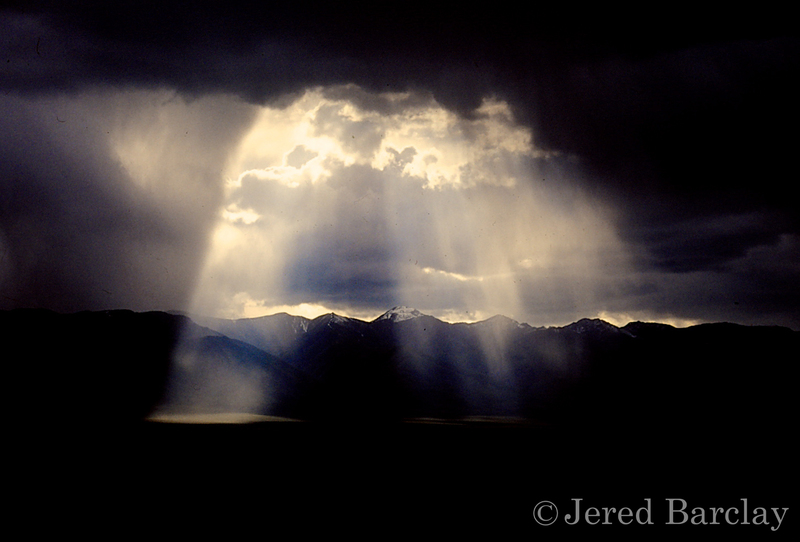 The desert landscapes can sometimes be an unending grey, but Mongolian skyscapes are more dramatic and spectacular than any Hollywood action movie. Extreme shapes, colors and changing formations provide jaw-dropping shows from nature. 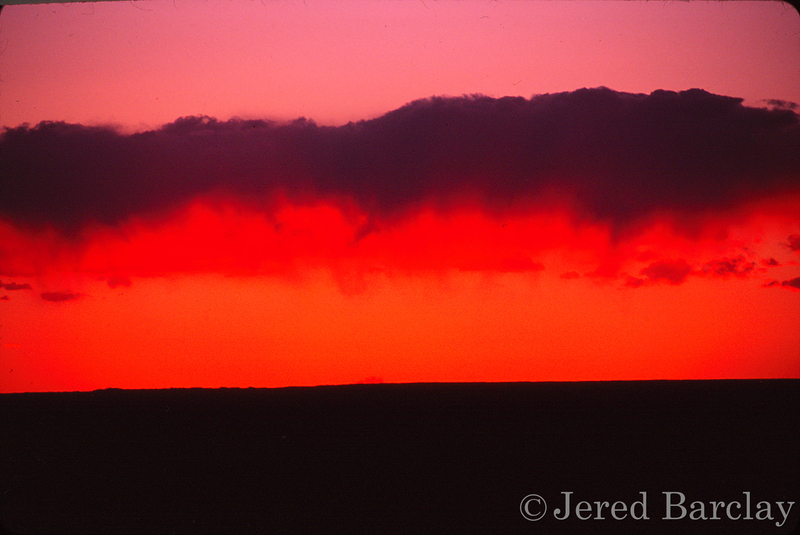 Take shelter when you see a sky like this in Mongolia. A drenching downpour is soon to explode. Painters can’t possibly create the impact of a sunset like this. In countries with vast wide open spaces like this one, you not only see the sunset in the distance but you see, sense and feel the sky that surrounds you and that experience is impossible to recreate on canvas. 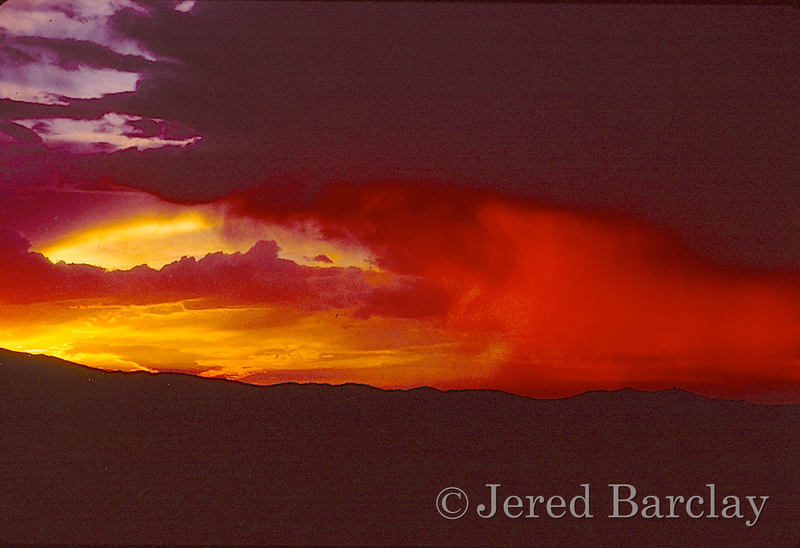 This fiery sunset over the famed Gobi Desert in Central Mongolia seemed to last a delicious eternity. That night we wanted to sleep on the ground under the stars. But he stars were so many and so intensely bright that we had to move our bedding into our tents to sleep. 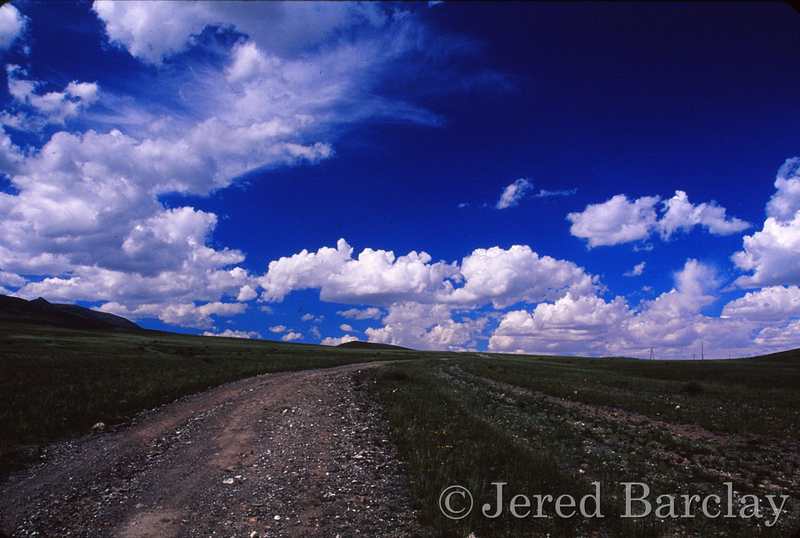 This road ending at the border between Mongolia and Russia accentuates the sometimes electric blue sky, free from any city pollutants and makes us know how pure and pristine nature can still be if we make efforts to preserve it. 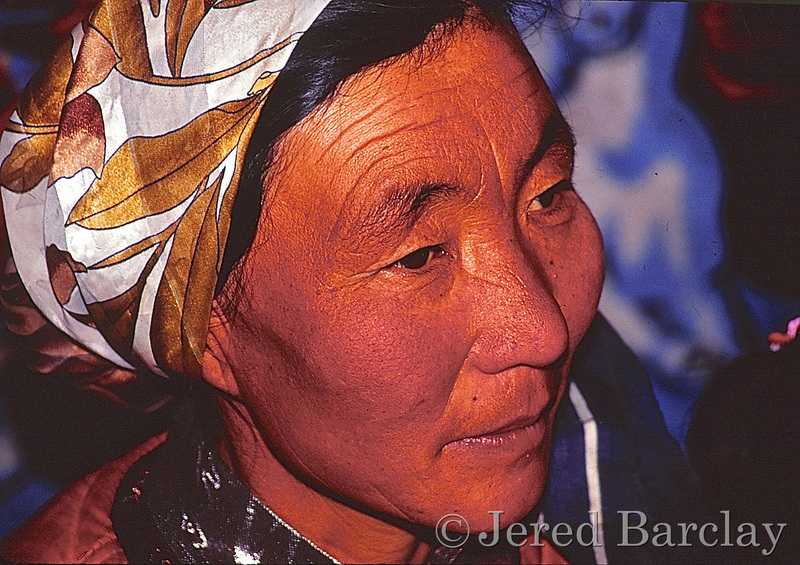 This incredible face tells the viewer how hard life is with the nomadic Mongolians. She has eleven children, all of whom have heavy duty daily chores that would make most American kids run for the hills. Their diet consists mainly of meat from the animas they raise. Growing vegetables is rare as they move from location to location for the best grazing for their herds. 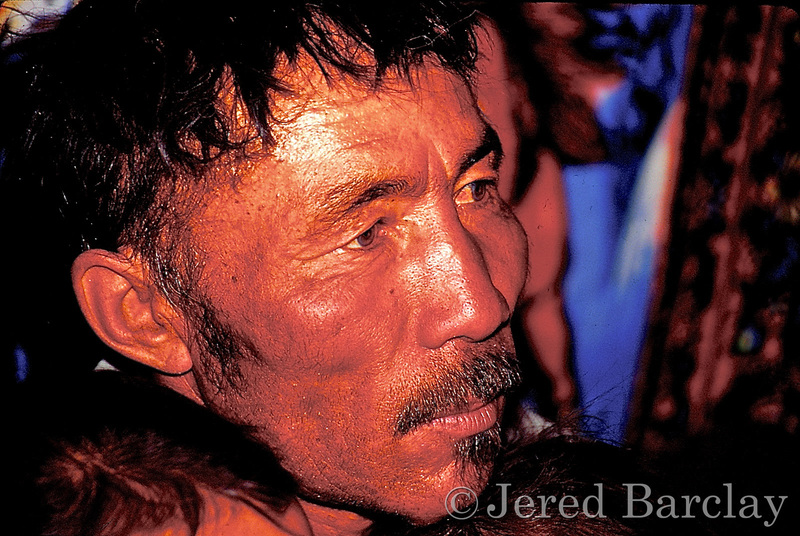 The Chinese call the Mongolians “wolves”. The Mongolians call the Chinese. whose diet consists mainly of vegetables, “sheep”! This father of the family has to be a provider, an expert herder, a patriarch, mechanic, tanner, welder, hunter, accountant etc. The nearest town is sometimes 100 miles away. Every line in his face shows the weight of all those responsibilities. 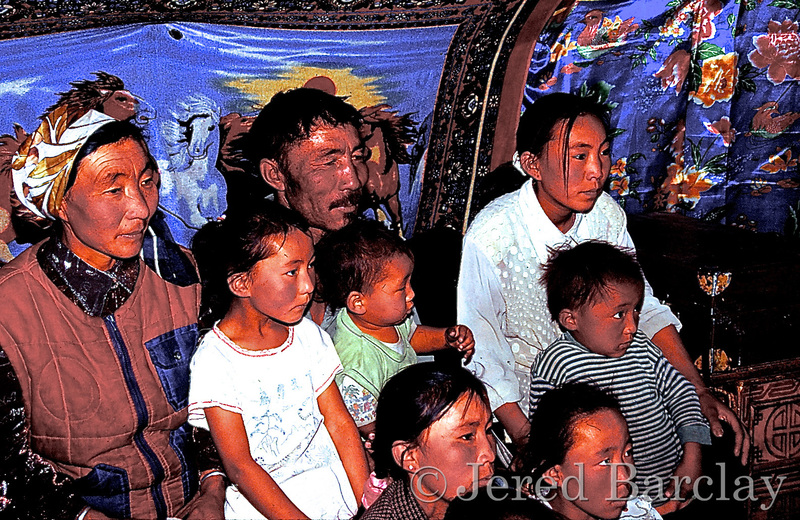 Visits from foreigners are rare.The family is mesmerized by their presence, bringing them a sense of the outside world they will never see. As they must be ready at a moments notice to avoid oncoming punishing bad weather or take advatage of newly discovered graizelands, none of their clothing hangs loose like in our closets. Everyting is kept in suitcases and trunks for quick mobility in their survival mode. This is the interior of a tourist “ger”. If it was authentic, teher would be no tables or chairs in the center. 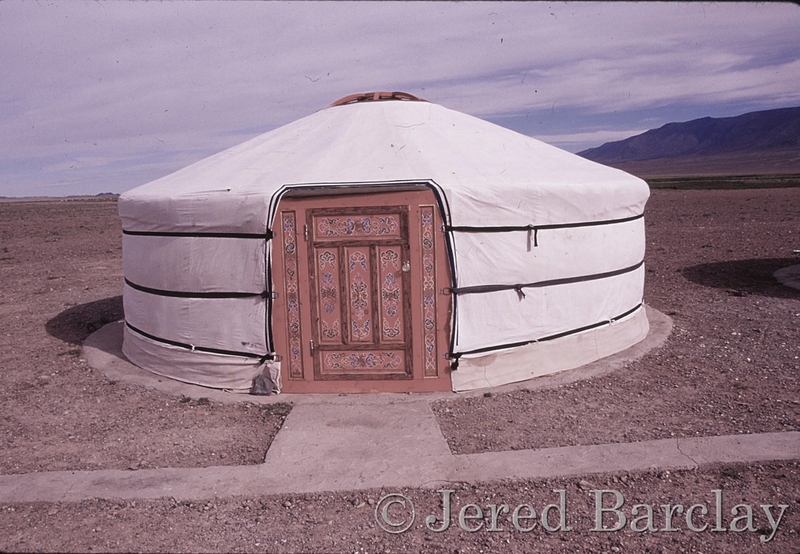 The “chimney” cirulates the air and keeps the tent warm or cold, depending on the season. 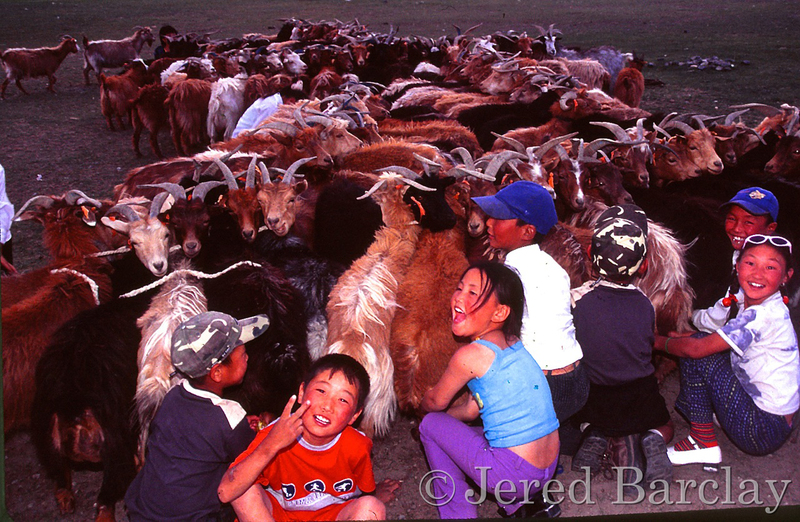 The nomadic herders of Mongolia, the vast majority of the population, live in gers (tents) that are moved to various altitudes and climactic locations to optimize the grazing opportunities for their herds of cattle, goats, sheep and horses. 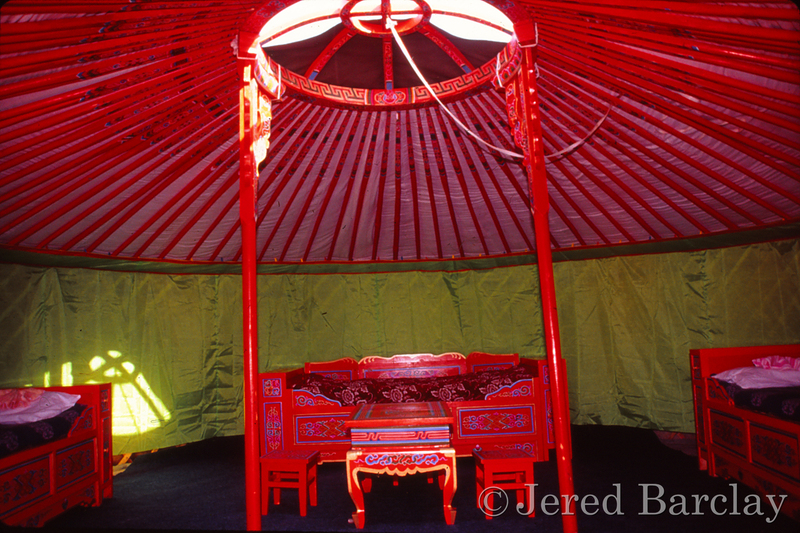 The exterior color of a ger is a dull canvas and often the surrounding area is a monotone that doesn’t excite the eye. As winters are incredibly severe – sometimes minus 55 degrees Fahrenheit – the interiors are raging with color to lift the spirits of families. 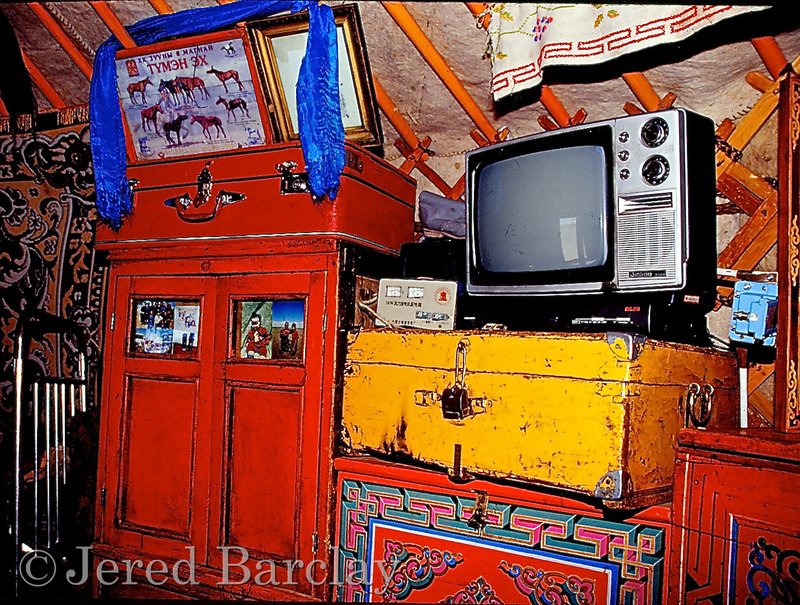 This explosion of color in the interior of a ger is common. It more than makes up up for any drab weather conditions outside. 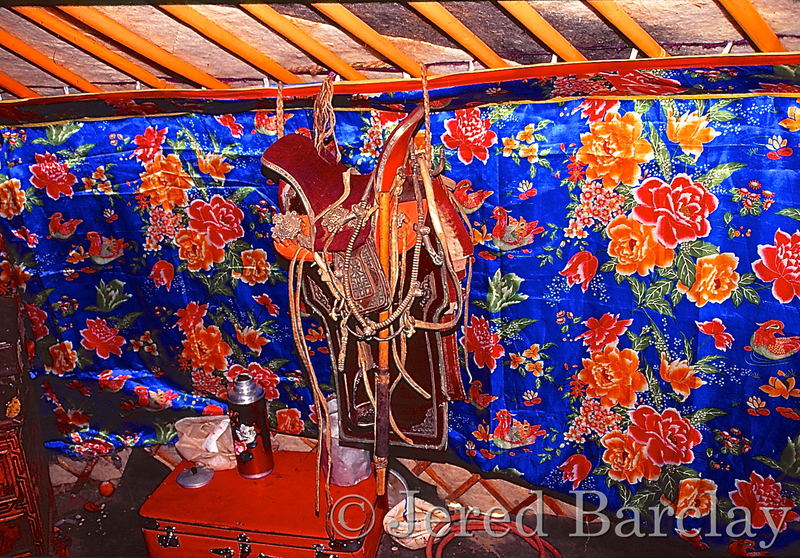 In the image below note the horse saddle hung on the wall and how colorful it is. All of the family shares this space. This is the bed of the mother and father who can draw curtains for privacy but you can imagine they must suffer from cabin fever from the extended winters. 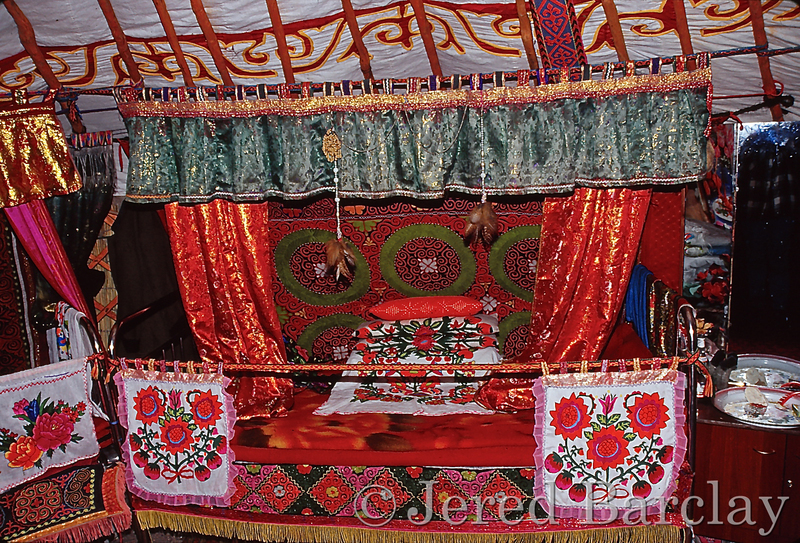 All the sewing and embroidery seen is made by women in the cold months. 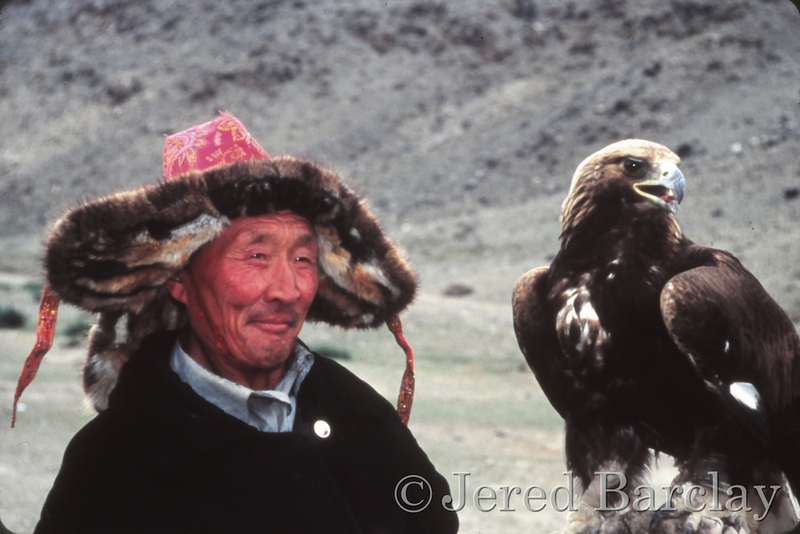 Mongolia has extreme contrasts of topography and weather and remains a model for pristine preservation of nature. They’re a nomadic cuntry that drives their sheep and goats into the mountains or the valley, depending on which location has the best grazing. 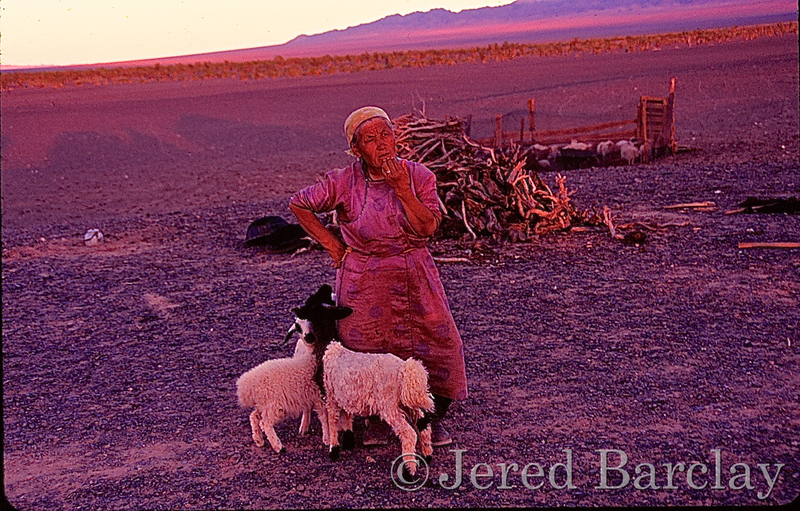 This woman on the edge of the Gobi Deset scans the horizon looking for the herd of sheep that her son is herding home at sunset. 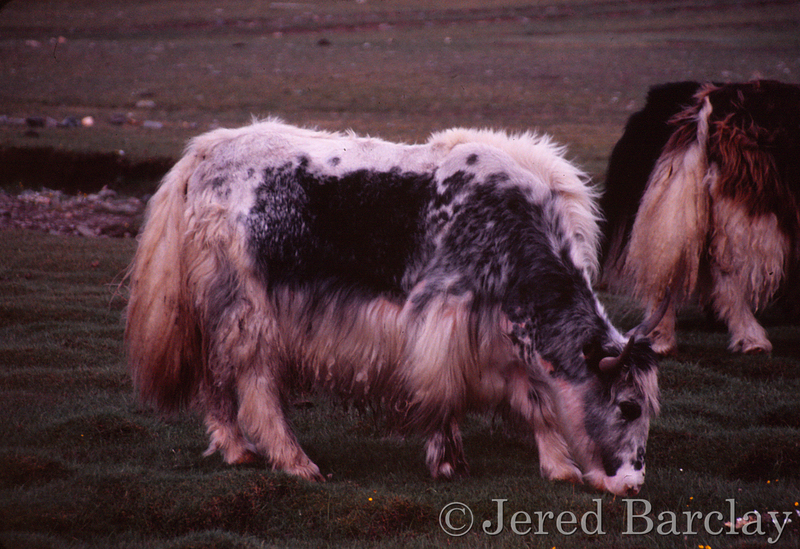 Yaks are an exotic sight for us but families raise them for their milk and fur. 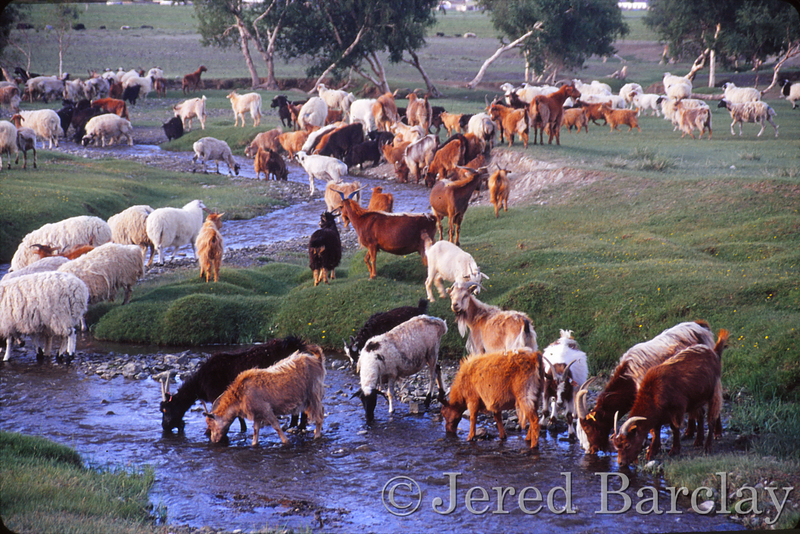 Goats and sheep are tethered together at night so if a maurading wolf stalks them, the collective yowls from the potential victims wake the owner who fires his shotgun into the air. Here are the family children milking their goats.